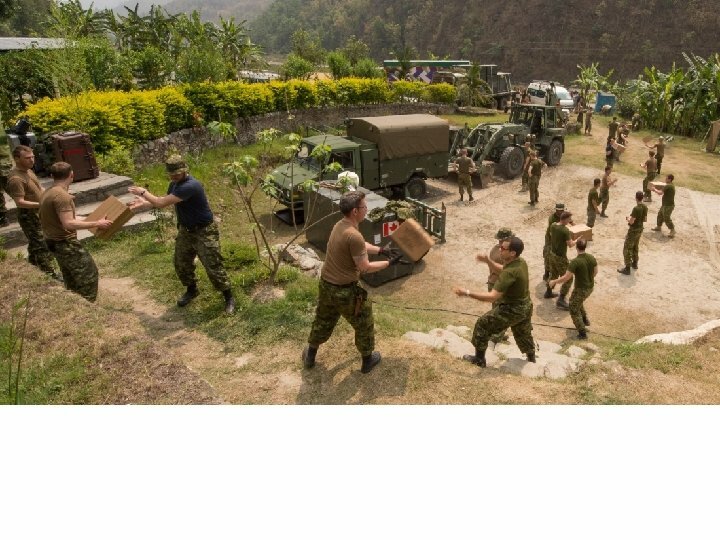 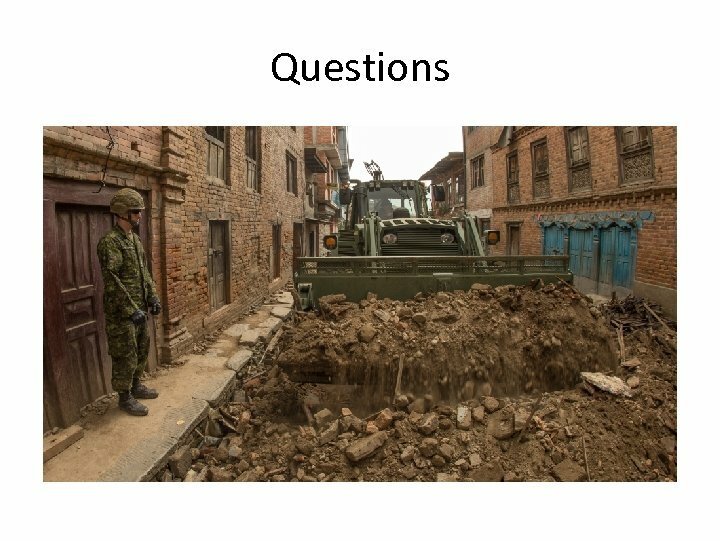 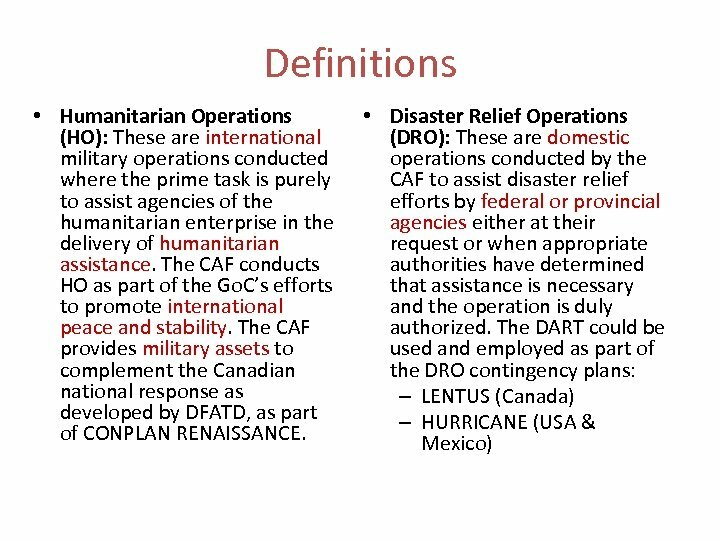 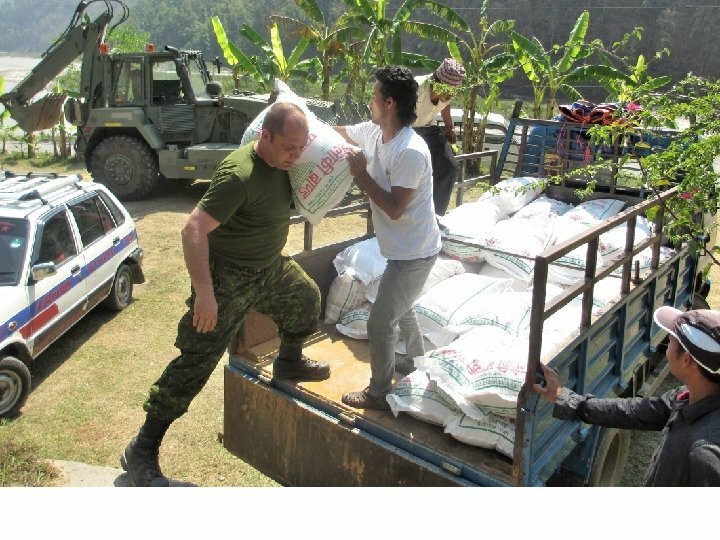 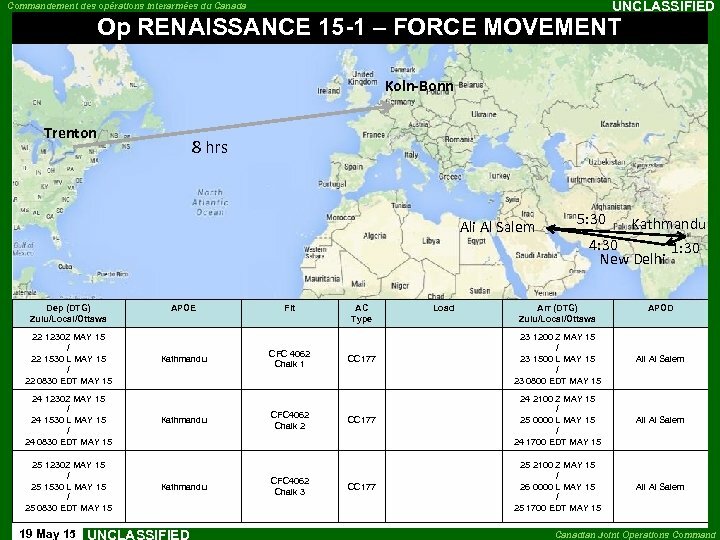 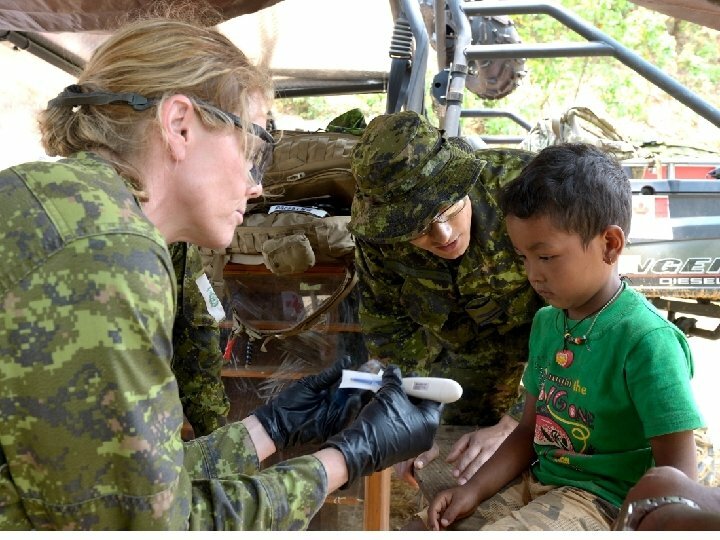 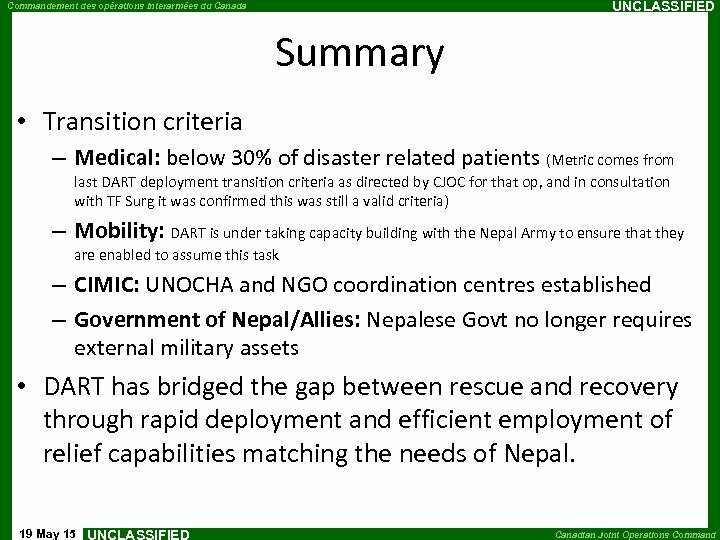 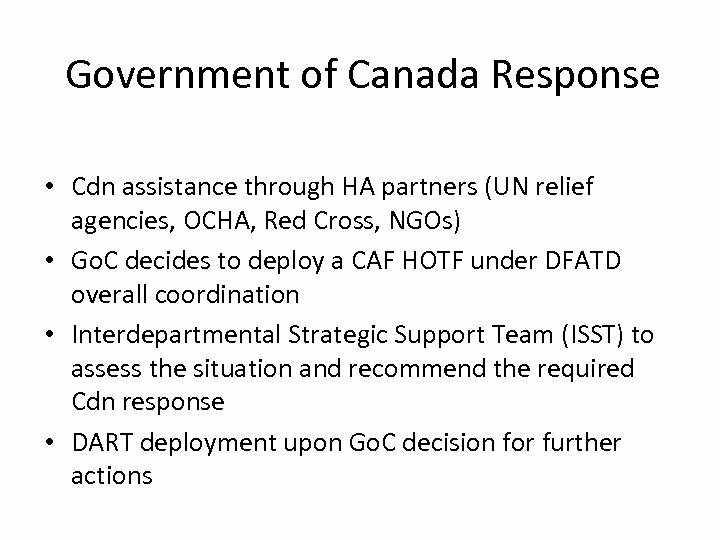 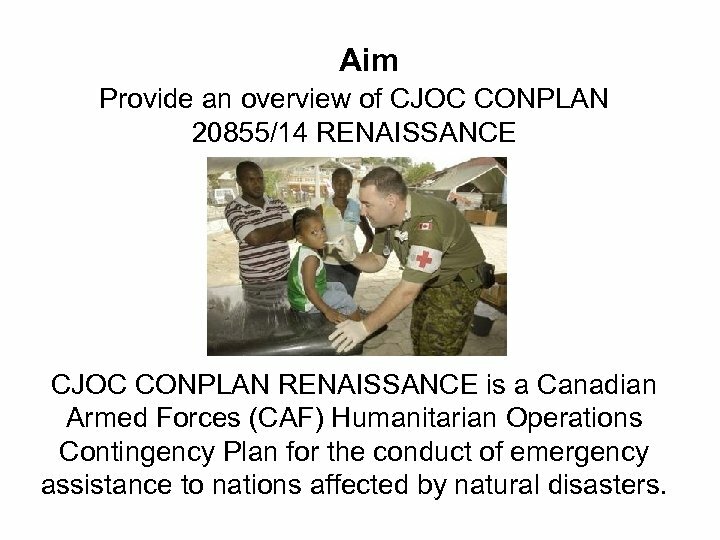 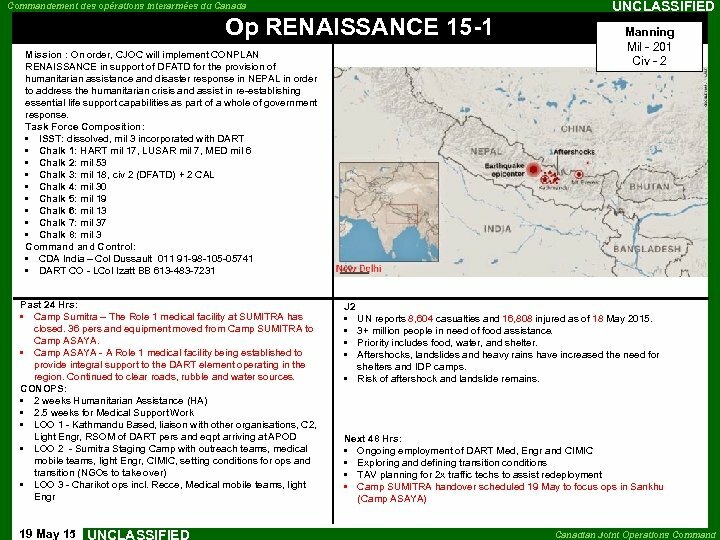 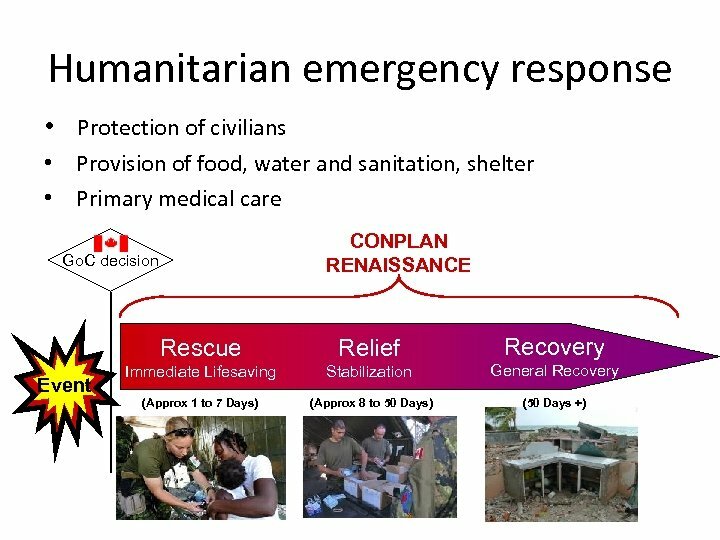 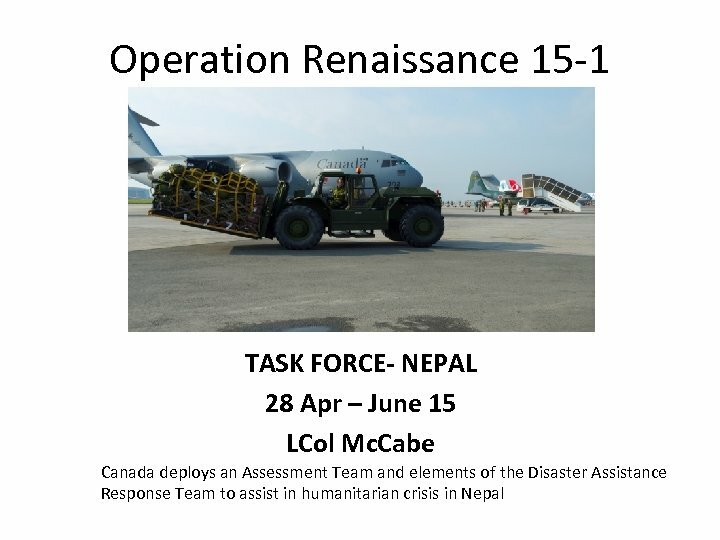 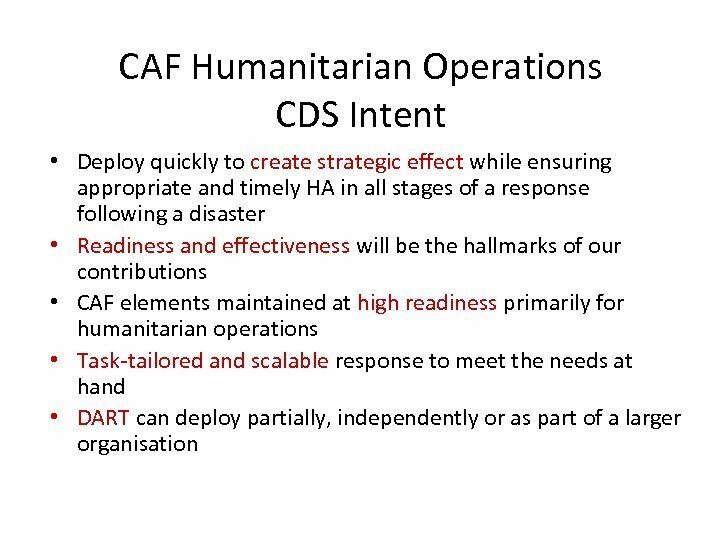 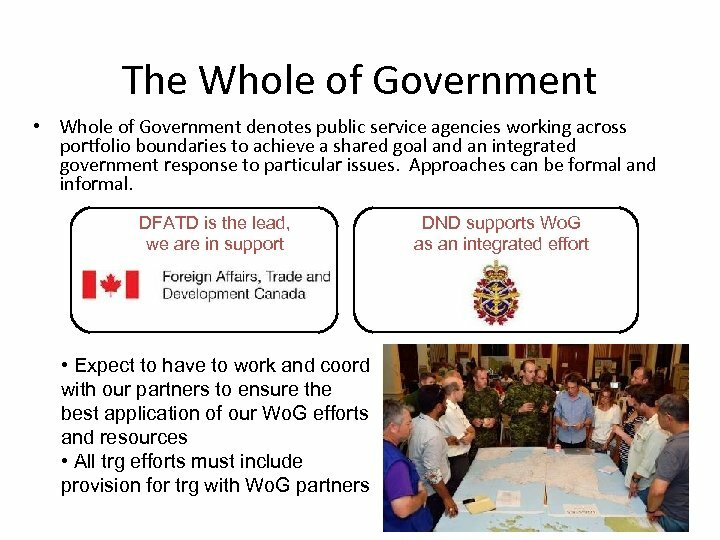 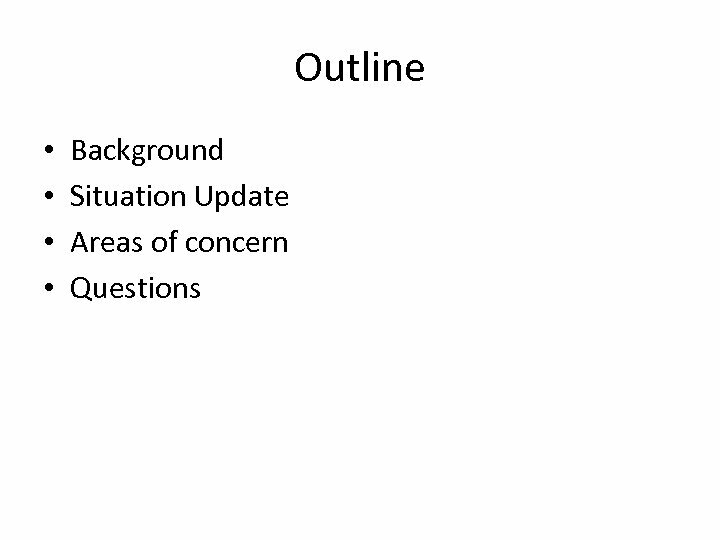 Aim Provide an overview of CJOC CONPLAN 20855/14 RENAISSANCE CJOC CONPLAN RENAISSANCE is a Canadian Armed Forces (CAF) Humanitarian Operations Contingency Plan for the conduct of emergency assistance to nations affected by natural disasters. 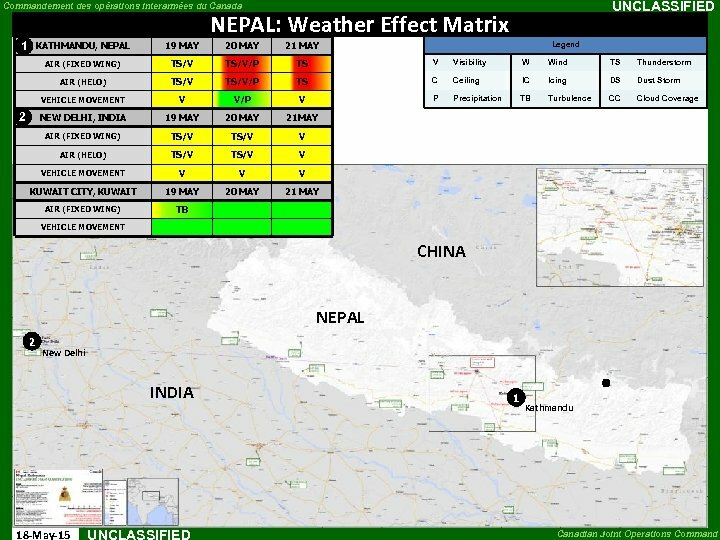 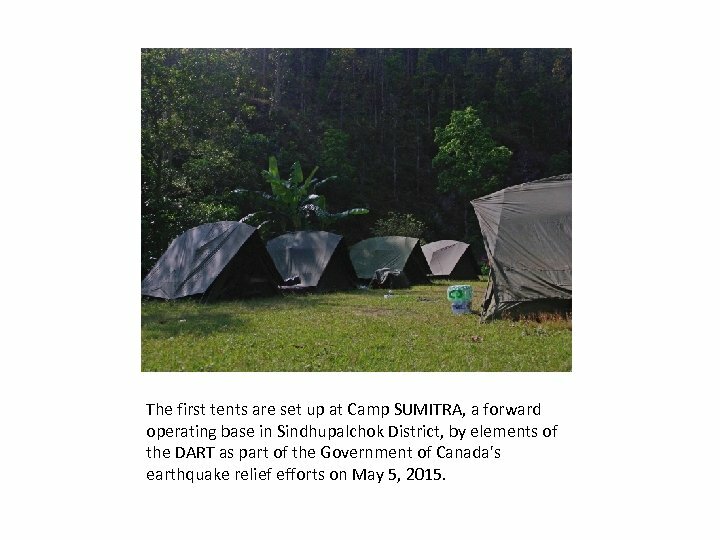 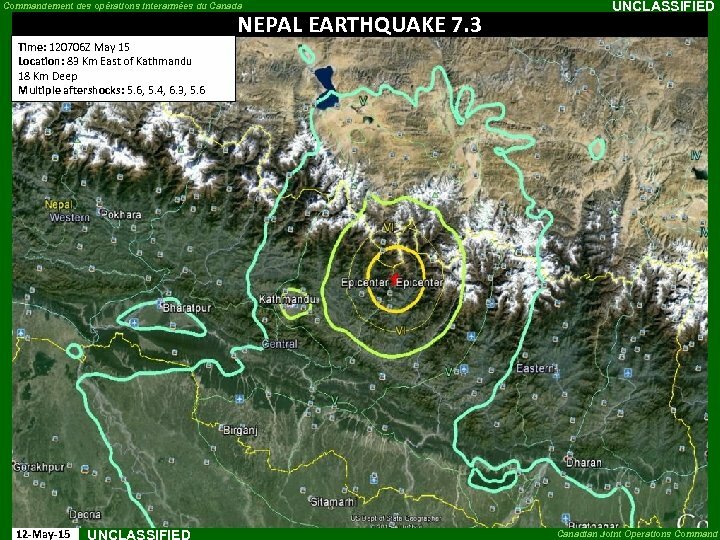 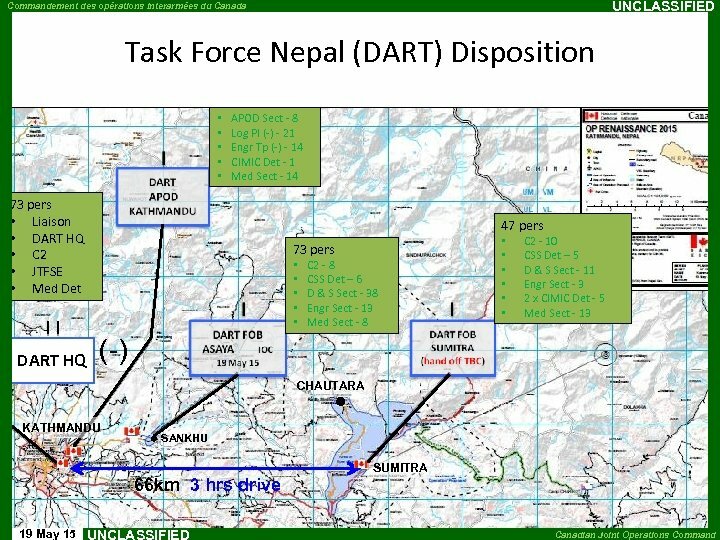 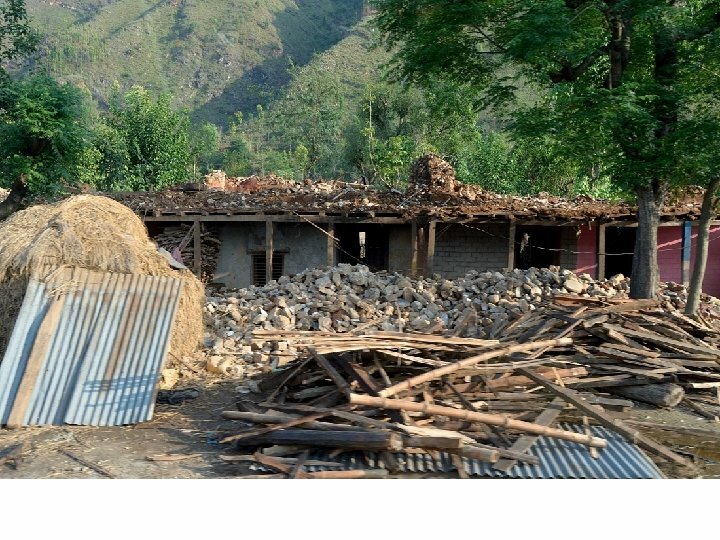 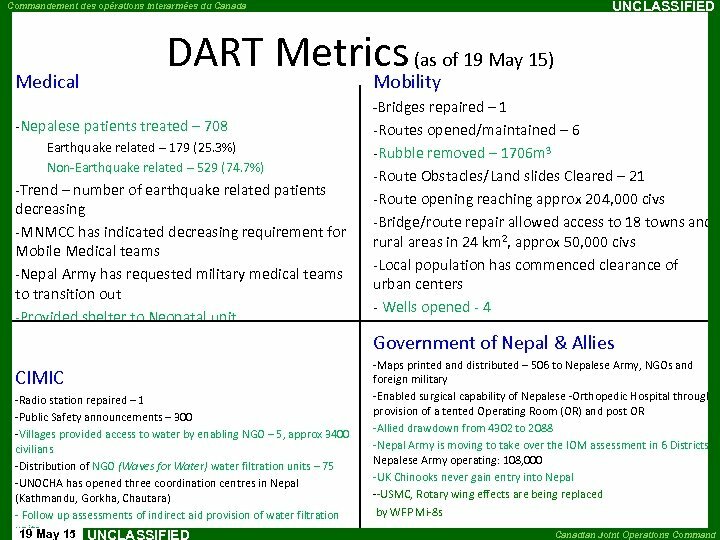 The first tents are set up at Camp SUMITRA, a forward operating base in Sindhupalchok District, by elements of the DART as part of the Government of Canada's earthquake relief efforts on May 5, 2015. 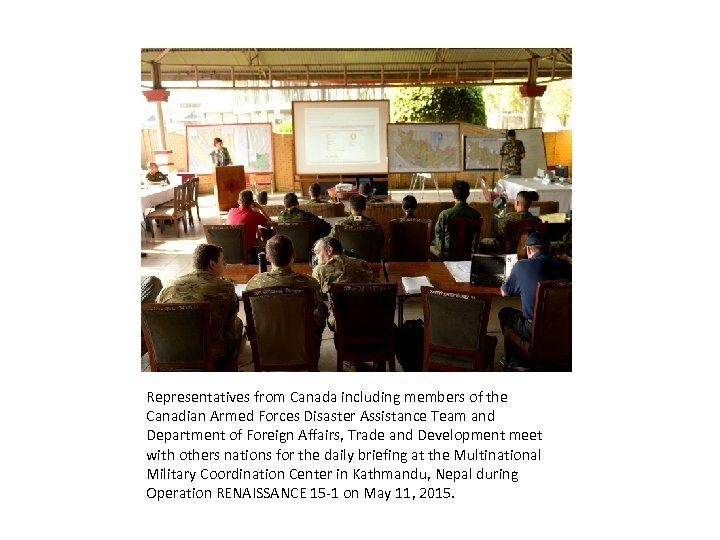 Representatives from Canada including members of the Canadian Armed Forces Disaster Assistance Team and Department of Foreign Affairs, Trade and Development meet with others nations for the daily briefing at the Multinational Military Coordination Center in Kathmandu, Nepal during Operation RENAISSANCE 15 -1 on May 11, 2015. 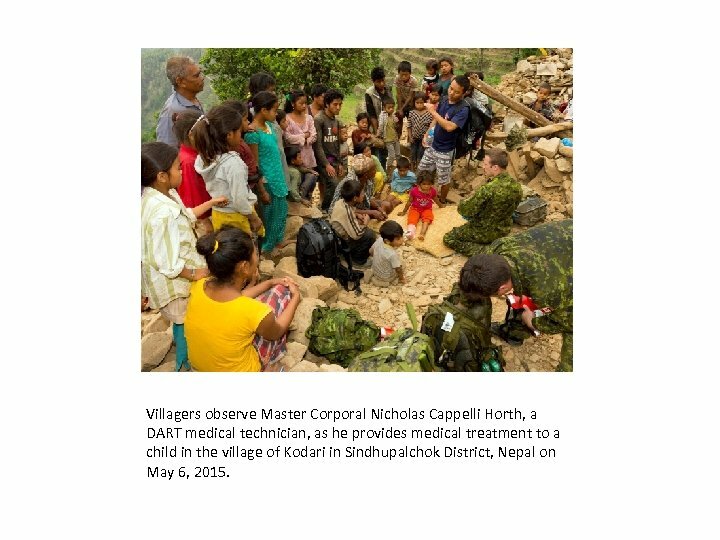 Villagers observe Master Corporal Nicholas Cappelli Horth, a DART medical technician, as he provides medical treatment to a child in the village of Kodari in Sindhupalchok District, Nepal on May 6, 2015.